New hang-out space of Art & Urban lifestyle at Sukhumvit Midtown. A 4,581 - squaremeters building, create a unique place for hanging out. This is a totally innovative and stylish market for shopping and chilling out with your fellows. 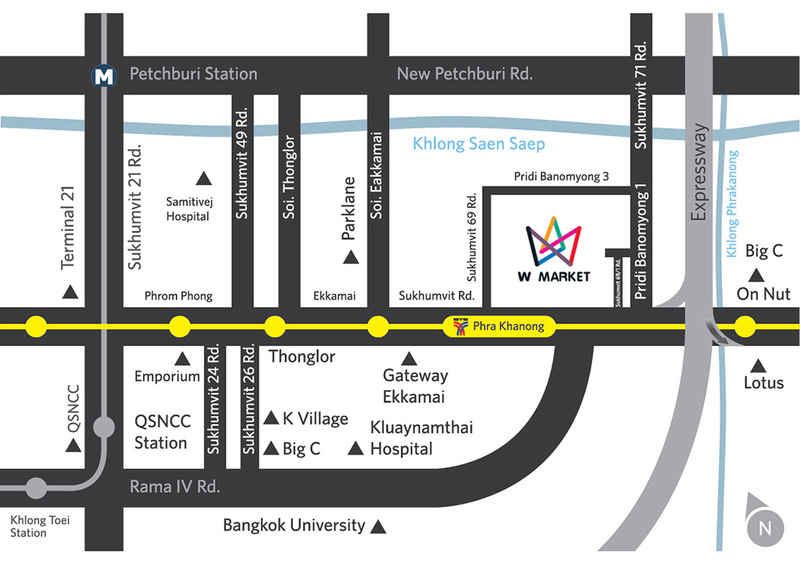 "A definitely chic and cool place with range of different styles of food and hanging out place in Phra Khanong area" W Market is as well assembled 100 the well-known restaurants and shops from all around. So that you could find everything you want here, at W Market. This place is definitely chic and cool for hanging out, and of course with great-decorated art pieces and fabulous design, make this place ever more outstanding.